Whilst getting married is a huge milestone in our lives, it does not need to be our only focus, as we are slaves of Allah first, above all other roles in life. Having older experienced women close by for feedback and advice can help you relate better to the challenges to overcome and will give you a head-start on how to balance family and work life. Additionally, starting your Islamic learning in a consistent manner is one of the best endeavours you will make, as many sisters find it a challenge (though definitely not impossible) after they get married and have more domestic responsibilities. There are many institutions that offer weekly classes in numerous aspects of Islamic knowledge and there are so many online courses for you to explore. Let us find opportunities to give our parents time, especially if they are getting in their elderly years and require more care and attention. Have a read of books that describe the characteristics of a good husband and wife. These will explore marital issues in more detail and give you the confidence to go into married life better prepared, in sha Allah. 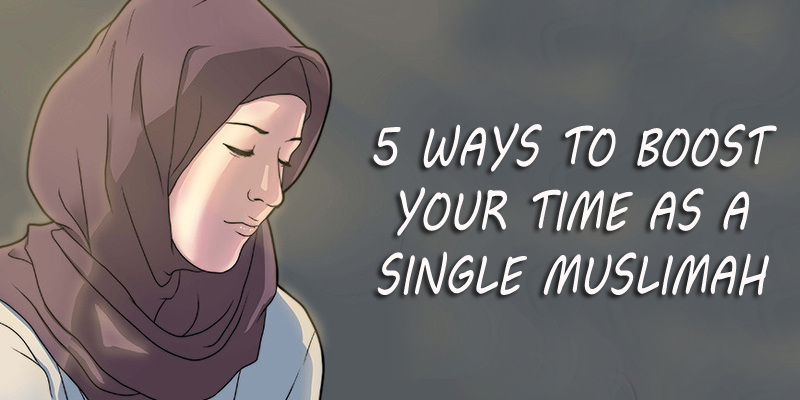 Remember these actions are not just for single Muslimahs! Single men and married couples should always be looking to improve themselves for a harmonious and happy marriage. When making dua, talk to Allah as He is your Truest and Closest Friend. Be specific in what you want from a spouse – nothing is impossible or too small when asking from Allah, as provision from Him is limitless! Use the Best of Names of Allah such as Al-Wadud, Al-Mujeeb, Al-Fattah, Ar-Rahman, Al-Latif, Al-Kareem and do not simply ask to be married. Rather, pray for a spiritually meaningful and productive marriage, supplicate for a spouse with good character and humor, and most importantly, make dua for a husband who fears Allah. Pray with full conviction and sincere hope that Allah will guide you to whoever is best for you in this life and the akhirah.